After spending three months in hand therapy (Oct/Nov/Dec) and three weeks of January driving back and forth to suit therapy, February has been a welcome break! This break is short-lived however, as Anne receives Botox to loosen the tight muscles in her left arm, hand and foot tomorrow (3/3). After Botox, Anne will begin another three-month session of hand therapy (March/April/May) and then start a three-week session of Suit Therapy in June. Anne is doing really well…she is showing improvement in walking with a cane and has recently displayed a stronger, more independent spirit. God continues to provide for our every need – spiritually, physically and emotionally. We’re very grateful for His constant provision! Thank you for your continued prayers and support in this journey. If you think of it, please pray for endurance for Anne and us to persevere through July :) And mostly, for Anne to continue to improve as a result of her many therapies. That she would begin to regain the use of her left hand through regular hand therapy. Anne has just been diagnosed with ADHD (as a result of her brain injury). Please pray that we would find the best medication to help improve her attention. Finally, please pray for God to give Anne endurance and determination. She is being challenged both academically and physically and she needs the will to overcome! Anne starts school August 4th. Please pray for a smooth transition to 3rd grade. Pray for Anne’s teachers – that God would give them special wisdom for how to teach Anne well. Please pray for Anne to make great progress in reading and math this year. Please also pray that Anne would experience the peace and presence of God in special and significant ways. Finally, I humbly ask you to pray for me. After 10 glorious years of being a stay-at-home mom, I’m re-entering the workforce! I begin my new job as Latin Teacher at ACCA tomorrow (Canon and Kate’s school). I need God’s help as I try to balance my new responsibilities as a teacher with my ongoing work at home. 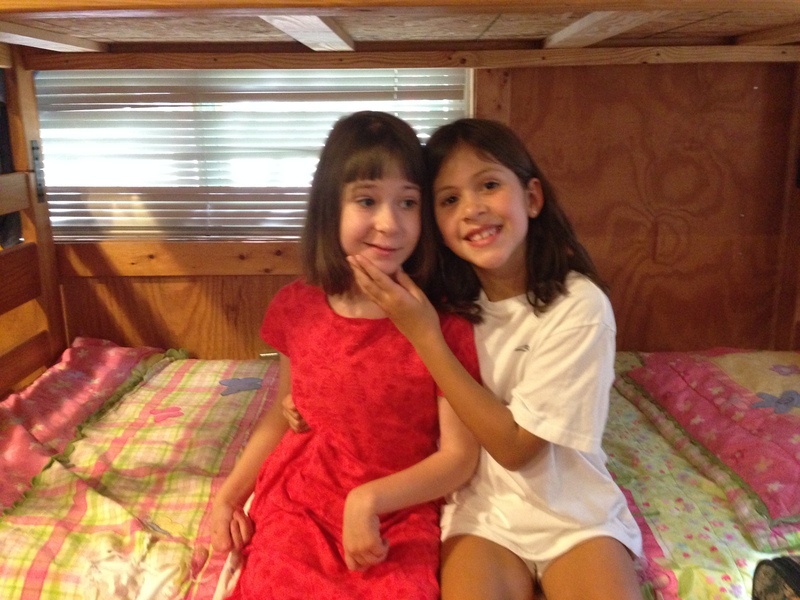 We also praise God for an outstanding time at a summer day-camp for special needs kids and their siblings. Anne and Kate both attended and came away with great memories and a closer relationship. 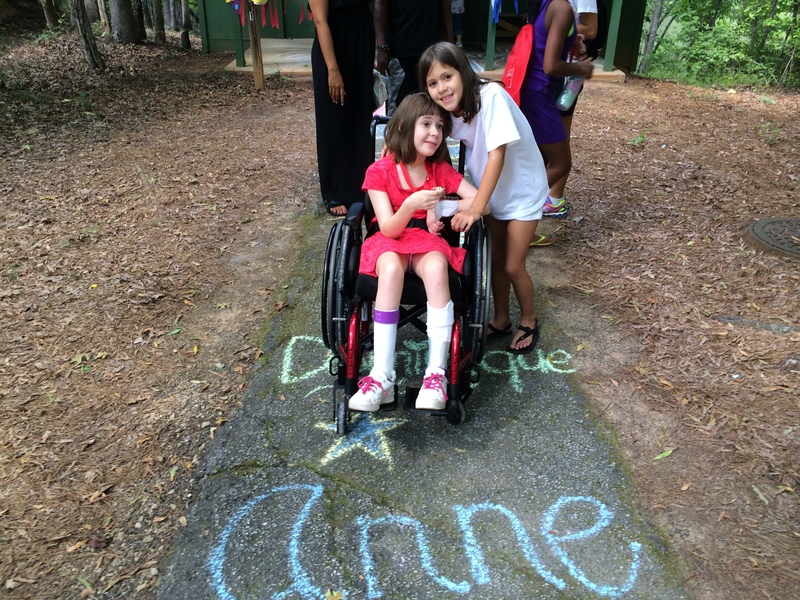 Finally, Anne has been accepted into her first ever overnight camp!! It’s a camp specifically for kids with traumatic brain injuries. 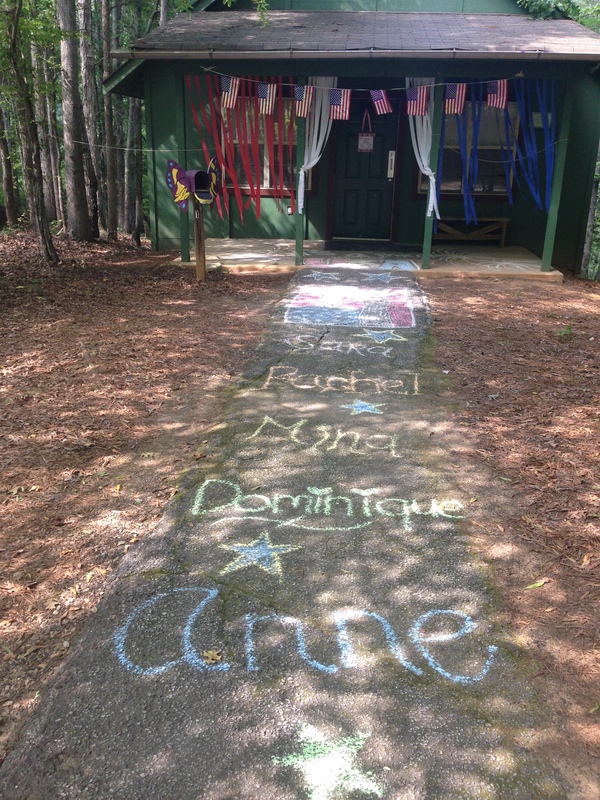 Camp TBI (To Be Independent) is held at an accessible camp facility and provides one-on-one counselors (all of which are OT students) for their campers. 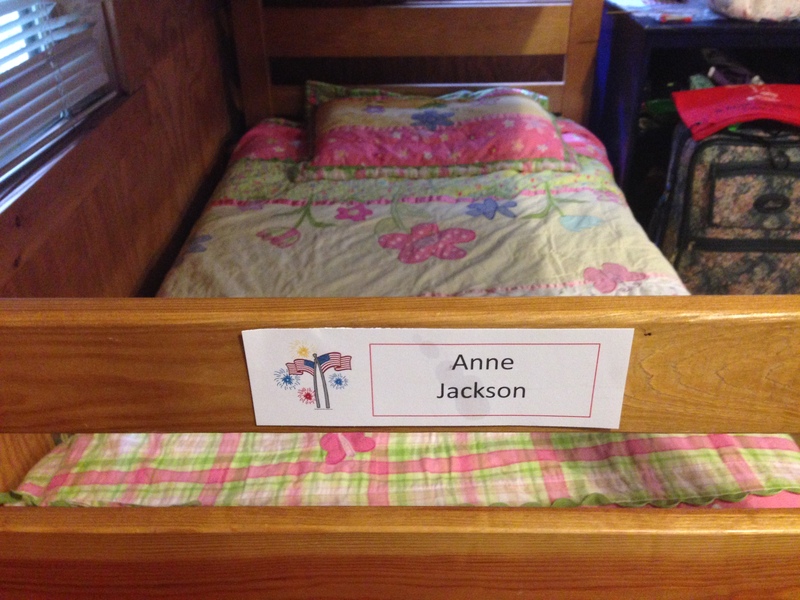 As the date for this camp approaches, I’ll ask for prayer for Anne to ease her homesickness. Thank you for your prayers!!! Your continued prayer and support after all these years is an inspiration to our family! Anne is having micro-seizures that cause her to have extreme temper tantrums. Thankfully, they are short. Please pray for these seizures to subside either on their own or with increased medication. Lastly, please pray for Anne’s encouragement – spiritually, emotionally and just with pure fun. It’s summer after all … we’re supposed to have fun! Thank you so much! Your continued prayer and support after all these years is an inspiration to our family! Anne’s self-awareness has improved so much that now she becomes extremely angry when she doesn’t get what she wants or has to wait to get what she wants. She screams, cries and bites. Her biting is dangerous because sometimes she bites herself. Please pray that Anne would learn to control her anger and for us as we try to calm her during her anger spells. Summer is almost here! Please pray stamina as I seek to find new ways to challenge Anne this summer. Please continue to pray for Anne’s walking and reading. She has made great strides in her walking and small strides in her reading. 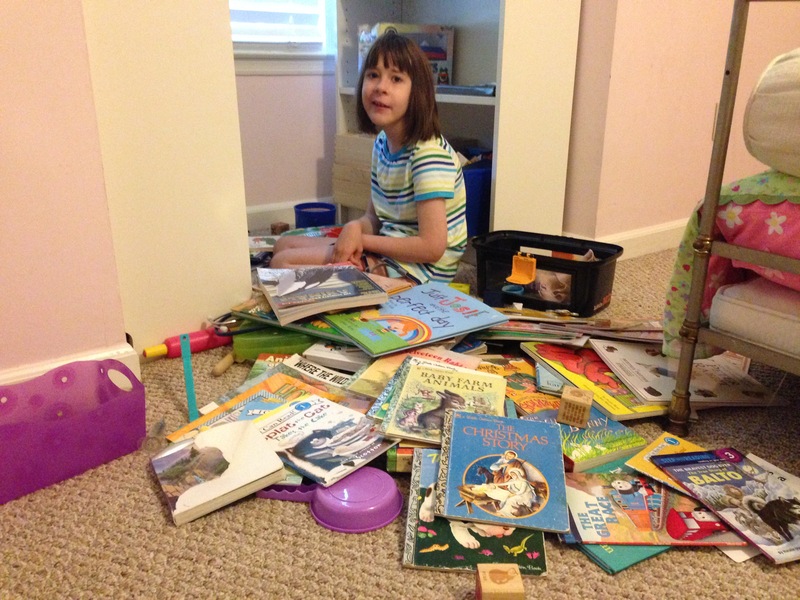 I’m praying for her reading ability to explode this summer! Praise God that MEDICAID APPROVED ALL of TheraSuit therapy!!!! SO thankful!!!!!!! 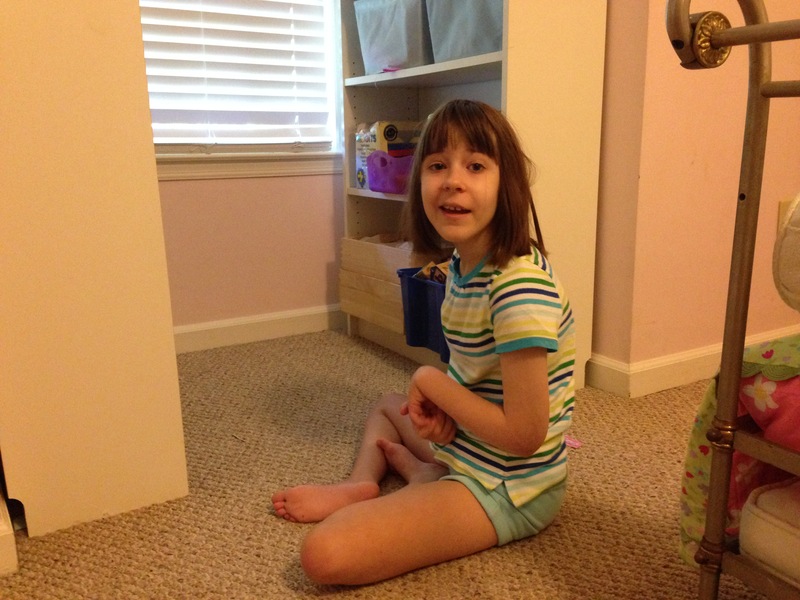 Please pray that Anne would improve in strength, balance, walking and eye tracking. Anne has responded so well to this therapy in the past. We are grateful for the opportunity and provision to do this therapy for a third time! Finally, pray for wisdom for the therapists and for Anne and me to be encouraging to the therapists and other families – that God would be glorified in our lives and witness.